Dolce & Gabbana’s Shanghai show has been canceled, following a series of controversial posts being made from Stefano Gabbana’s Instagram account. Stefano Gabbana claims that his Instagram was hacked, and that he wasn’t responsible for the offensive content. Dolce & Gabbana’s official account also posted an apology, explaining that both accounts had been hacked. High-profile guests and celebrities began pulling out of the show once the offensive Instagram posts were widely circulated. 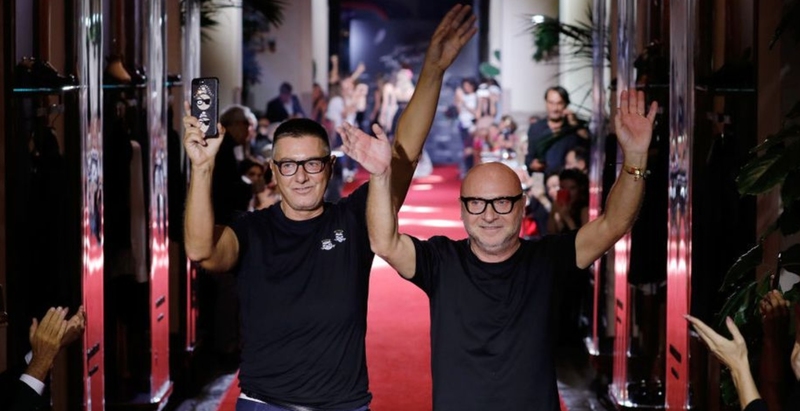 Dolce & Gabbana has quickly canceled its Shanghai show on the day of the event, following claims that designer Stefano Gabbana has posted offensive Instagrams regarding China. The controversial posts appeared on Stefano Gabbana’s account following backlash to a series of videos the brand released. Titled “eating with chopsticks,” the videos featured a model being instructed in Mandarin by a male voice how to eat Italian food, including pizza and spaghetti. Critics said the videos trivialized “China’s centuries-old culture… depicting Chinese women in a stereotypical and even racist way” (via BBC and Jing Daily). According to WWD, actress Zhang Ziyi was one of the first stars to say that she would no longer be attending, while the China Bentley modeling agency revealed that the 24 models they represent who were meant to be walking in the show would now be boycotting. The actress’s hair is shorter (and chicer) than ever, thanks to the man behind Meghan’s wedding day hairstyle.